Kids that can control their bodies can control their minds. Evolution Tae Kwon Do challenges youth both physically and mentally to help them achieve their true potential in everyday life. Through training on memory, balance, and coordination in Tae Kwon Do students develop focus, self-confidence, and self-defense. 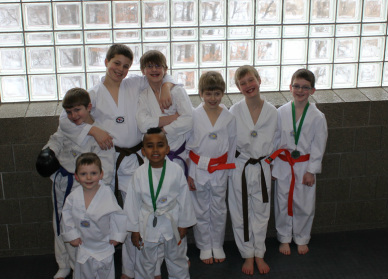 Through setting goals and expectations based on each individual, Tae Kwon Do creates an environment where every participant can achieve success. It does not matter who finishes first, the focus is on each individual striving for similar goals with the support of peers and instructors.